TUNIS, Oct 15 2011 (IPS) - Aggressively repressed and forced underground by the recently deposed dictator Zine Abadine Ben Ali, the Tunisian Islamist party Ennahda is poised to become the dominant force in Tunisian politics. Since the dictator was ousted in an uprising last January, dozens of political parties have been trying to build support. However, thanks in large part to the enthusiastic support of the working class and residents of the disfranchised western regions of the country, Ennahda now dominates opinion polls. Its supporters hail party members’ reputation for honesty, connections to charitable organisations and for their tenacious opposition to the former dictator. Furthermore, Ennahda’s official platform is quite moderate, and supporters say the party has more in common with a European Christian democratic party than with the theocratic dictatorships that rule many Muslim nations. But due to the authoritarian nature of the old regime, parties contesting the Oct. 23 election have practically no experience governing, and no one knows what to expect from Ennahda or their rivals. Their expected success has been met with fear and anger amongst members of Tunisia’s secular, coastal elite. Ben Ali saw all forms of political Islam as a threat to his power. His secret police arrested thousands of activists and effectively banned working women from wearing the headscarf, and men from growing long beards. While members of the coastal elite and professional classes generally supported the January revolution, they also tend to share the passionately secular attitudes of the former regime, and seem genuinely surprised that so many of their fellow Tunisians support an explicitly Islamic party. Furthermore, Ennahda’s populism and commitment to end decades of regional disparity potentially threatens the relative privilege that they enjoyed under the former regime. A visit to the party’s headquarters sheds some light on the reasons for Ennahda’s popularity. The first floor is filled with friendly, young campaign workers and volunteers. The women wear various styles of hijab, and the men dress in casual style. They mingle freely with visitors, trading jokes and small talk in Tunisian Arabic. This hospitality is not surprising, and is deeply ingrained in Tunisian society. The atmosphere at the headquarters of Ennahda’s main rival, the secular Parti Democrate Progressiste (PDP), is noticeably different. The PDP members are polite and articulate, but the atmosphere is much less familial and traditional, and more corporate and western. The business suits and the campaign posters bearing the faces of the PDP’s leaders bring to mind a slick western political campaign or, the formal, westernised stamp of the former regime. The PDP was never banned by Ben Ali, but its members were harassed and repressed. Despite this, the PDP has been struggling with the perception that they are the unofficial successors of Ben Ali’s former ruling party, the Rassemblement Consitutionel Democratique (RCD). Their electoral base is expected to be in the coastal cities that benefited most from the old government. While the PDP’s enemies seek to paint them as too close to the corruption and elitism of the old regime, Ennahda’s enemies make the accusation that the professed moderation of the party is only a façade, and that if elected they will try to transform Tunisia into a theocracy similar to Iran or Saudi Arabia. 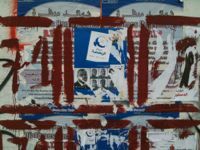 Najma Kousri, a 20-year-old law student living in Tunis expresses some common concerns about Ennahda. Kousri, who considers herself a progressive feminist and plans to vote for a small, leftist party, acknowledges that Ennahda has long had a significant following in Tunisia. Ennahda calls such accusations unfair. “We have to protect the majority and protect the minority, whether they are with faith, with no faith, whatever,” Feyjani Sayed, a member of Ennahda’s political office tells IPS. In fact, despite the furore over Ennahda’s ascendancy, compared to the secular PDP, their proposed platform has more similarities then differences. Economically both advocate what Sayed calls a “social free market”, and intend to develop infrastructure in the country’s troubled west in order to encourage investment and create jobs. Both parties also emphasise the importance of creating sustainable, transparent democratic institutions. Many Tunisians respect Ennahda’s decades of opposition to the former dictator. “We were the main force that stood against Ben Ali…we paid the heaviest price,” says Sayed.